Today is option expiry on the Comex. Thursday is the last day for OTC options and as such we will see the same drill: the bankers doing their thing keeping gold/silver suppressed and to make options expire worthless. In silver, the total open interest FELL BY 2754 contracts from 197,872 DOWN TO 195,118 WITH RESPECT TO FRIDAY’S TRADING WHICH SAW SILVER FALL BY 8 CENTS AND STILL WELL BELOW THE HUGE $17.25 SILVER RESISTANCE. WE HAD MINOR LONG COMEX LIQUIDATION. HOWEVER WE WERE ALSO NOTIFIED THAT WE HAD ANOTHER LARGE NUMBER OF COMEX LONGS TRANSFERRING THEIR CONTRACTS TO LONDON THROUGH THE EFP ROUTE : 1670 DECEMBER EFP’S WERE ISSUED ALONG WITH 0 EFP’S FOR MARCH FOR A TOTAL ISSUANCE OF 1670 CONTRACTS. I GUESS WHAT THE CME IS STATING IS THAT THERE IS NO SILVER (OR GOLD) TO BE DELIVERED UPON AT THE COMEX AS THEY MUST EXPORT THEIR OBLIGATION TO LONDON. FRIDAY WITNESSED 1297 EFP’S FOR SILVER ISSUED. RESULT: A SMALL SIZED FALL IN OI COMEX WITH THE 8 CENT PRICE FALL. WE HAD SOME COMEX LONGS EXITED OUT OF THE SILVER COMEX BUT MOST OF THEM TRANSFERRED THEIR OI TO LONDON THROUGH THE EFP ROUTE: FROM THE CME DATA 1670 EFP’S WERE ISSUED FOR MONDAY FOR A DELIVERABLE CONTRACT OVER IN LONDON WITH A FIAT BONUS. IN ESSENCE THE DEMAND FOR SILVER PHYSICAL INTENSIFIES GREATLY. WE REALLY ONLY LOST 1084 OI CONTRACTS i.e. 1670 open interest contracts headed for London (EFP’s) TOGETHER WITH A DECREASE OF 2754 OI COMEX CONTRACTS. In ounces, the OI is still represented by just UNDER 1 BILLION oz i.e. 0.976 BILLION TO BE EXACT or 139% of annual global silver production (ex Russia & ex China). FRIDAY (ISSUED ON WEDNESDAY FOR FRIDAY), WE HAD 14,179 EFP’S ISSUED. Result: A SMALL SIZED DECREASE IN OI WITH THE FAIR SIZED FALL IN PRICE IN GOLD ON FRIDAY ($4.00). WE HAD AN LARGE NUMBER OF COMEX LONG TRANSFERRING TO LONDON THROUGH THE EFP ROUTE: 9,547. THERE OBVIOUSLY DOES NOT SEEM TO BE ANY PHYSICAL GOLD AT THE COMEX AND YET WE ARE APPROACHING THE HUGE DELIVERY MONTH OF DECEMBER. I GUESS IT EXPLAINS THE HUGE ISSUANCE OF EFP’S…THERE IS NO GOLD PRESENT AT THE GOLD COMEX FOR DELIVERY PURPOSES. IF YOU TAKE INTO ACCOUNT THE 9547 EFP CONTRACTS ISSUED, WE HAD A NET GAIN OPEN INTEREST OF 5,348 contracts: 9547 CONTRACTS MOVE TO LONDON AND 4,929 CONTRACTS LEAVE THE COMEX. Inventory rests tonight: 842.21 tonnes. RESULT: A SMALL SIZED DECREASE IN SILVER OI AT THE COMEX WITH THE 8 CENT FALL IN PRICE (WITH RESPECT TO FRIDAY’S TRADING). NOT ONLY THAT BUT WE ALSO HAD ANOTHER 1670 EFP’S ISSUED.. TRANSFERRING OUR COMEX LONGS OVER TO LONDON . ON WEDNESDAY (FOR FRIDAY) WE EXPERIENCED 1297 EFP’S ISSUED FOR TRANSFER TO LONDON. iii)A good commentary on the faults with Bitcoin: the problem is the fact that nobody is listening! iii)What a riot: over the weekend, the Consumer Protection director Richard Corday resigned and he named his deputy director English to the post. Trump named Mick Mulvaney to the post and we now have two directors leading the Consumer Protection outfit. vi)New home sales smash expectations to 10 year highs as the average price now tops 400,000 for the first time. Is the uSA beginning to see home price rises what we are witnessing in Toronto, Vancouver and Sydney, and Melbourne Australia? The total gold comex open interest FELL BY ONLY 4,929 CONTRACTS DOWN to an OI level of 534,371 WITH THE FAIR SIZED LOSS IN THE PRICE OF GOLD ($4.00 LOSS WITH RESPECT TO FRIDAY’S TRADING). AS YOU WILL SEE WE DID NOT EXPERIENCE ANY GOLD LIQUIDATION. WE DID HAVE ANOTHER LARGE COMEX TRANSFER THROUGH THE EFP ROUTE AS THESE LONGS RECEIVED A DELIVERABLE LONDON FORWARD TOGETHER WITH A FIAT BONUS. THE CME REPORTS THAT 9377 EFPS WERE ISSUED FOR DECEMBER AND 170 WERE ISSUED FOR MARCH FOR A TOTAL OF 9,547 CONTRACTS. THE OBLIGATION STILL RESTS WITH THE BANKERS ON THESE TRANSFERS. THE CONSTANT BANKER RAIDS HAVE NOT BEEN TOO SUCCESSFUL IN GETTING OUR MATHEMATICAL PAPER LONGS IN GOLD TO LIQUIDATE THEIR POSITION. IT SUCCEEDED IN ONLY A TINY FRACTION IN SILVER. Result: a SMALL DECREASE IN COMEX OPEN INTEREST WITH THE FAIR SIZED LOSS IN THE PRICE OF GOLD ($4.00.) HOWEVER ALL OF THAT LOSS AND THEN SOME WERE TRANSFERRED TO LONDON THROUGH EFP’S ISSUED FOR A FIAT BONUS AND A DELIVERABLE FORWARD GOLD CONTRACT IN LONDON. WE HAD THAT NO REAL GOLD LIQUIDATION. We have now entered the NON active contract month of NOVEMBER.HERE WE HAD A LOSS OF11 CONTRACT(S) FALLING TO 1. We had 11 notices filed ON FRIDAY so WE GAINED 0 contracts or NIL additional oz will stand for delivery AT THE COMEX in this non active month of November. Total silver OI FELL BY 2754 CONTRACTS FROM 197,872 DOWN TO 195,118 WITH FRIDAY’S 8 CENT LOSS IN PRICE. HOWEVER WE DID HAVE ANOTHER STRONG 1670 PRIVATE EFP’S ISSUED FOR DECEMBER AND 0 EFP’S FOR MARCH BY OUR BANKERS TO COMEX LONGS WHO RECEIVED A FIAT BONUS PLUS A DELIVERABLE PRODUCT OVER IN LONDON.THE TOTAL EFP’S ISSUED: 1670. IT SURE LOOKS LIKE THE BOYS HAVE STARTED TO MIGRATE TO LONDON FROM THE START OF DELIVERY MONTH AND CONTINUING RIGHT THROUGH UNTIL FIRST DAY NOTICE. USUALLY WE NOTED THAT CONTRACTION IN OI OCCURRED ONLY DURING THE LAST WEEK OF AN UPCOMING ACTIVE DELIVERY MONTH. THIS PROCESS HAS JUST STARTED IN EARNEST IN SILVER. HOWEVER, IN GOLD, WE HAVE BEEN WITNESSING THIS FOR THE PAST 2 YEARS. WE HAD MINIMAL LONG SILVER COMEX LIQUIDATION AS DEMAND FOR PHYSICAL SILVER REMAINS STRONG AS MANY MORE CONTRACTS MIGRATE OVER TO THE PHYSICAL HUB OF OUR PRECIOUS METALS, LONDON. The new front month of November saw its OI RISE by 1 contract(s) and thus it stands at 1. We had 0 notice(s) served YESTERDAY so we gained 1 contracts or an additional 5,000 oz will stand in this non active month of November. After November we have the big active delivery month of December and here the OI FELL by 12,609 contracts DOWN to 43,560. January saw A GAIN OF 95 contracts RISING TO 1627. THE COMEX GOLD CONTRACT AT AROUND THE SAME TIME AS LAST YEAR: (NOV 28) WE HAD 77,556 GOLD CONTRACTS STANDING AND THIS COMPARES TO 127,659 TODAY . THIS YEAR THERE HAPPENS TO BE 3 DAYS LEFT BEFORE FDN. LAST YEAR THERE WERE 2 DAYS BEFORE FDN WITH THE ABOVE READINGS WERE TAKEN. THE OPEN INTEREST FOR DECEMBER IS EXTREMELY HIGH. IN THE LAST 14 MONTHS 78 NET TONNES HAS LEFT THE COMEX. The total number of notices filed today for the NOVEMBER. contract month is represented by 1 contract(s) FOR 5,000 oz. To calculate the number of silver ounces that will stand for delivery in NOVEMBER., we take the total number of notices filed for the month so far at 886 x 5,000 oz = 4,430,0000 oz to which we add the difference between the open interest for the front month of NOV. (1) and the number of notices served upon today (1 x 5000 oz) equals the number of ounces standing. Thus the INITIAL standings for silver for the NOVEMBER contract month: 886 (notices served so far)x 5000 oz + OI for front month of NOVEMBER(1) -number of notices served upon today (0)x 5000 oz equals 4,430,000 oz of silver standing for the NOVEMBER contract month. This is EXCELLENT for this NON active delivery month of November. We gained 1 contract(s) or an additional NIL oz will stand for metal in the non active delivery month of November. AT THIS TIME LAST YEAR WE HAD 27,148 NOTICES STANDING FOR DELIVERY FOR SILVER(NOV 28). THIS YEAR 43,560 BUT WITH ONE EXTRA TRADING DAYS LEFT. 1. Central Fund of Canada: traded at Negative 2.2 percent to NAV usa funds and Negative 2.1% to NAV for Cdn funds!!!! Note: Sprott silver trust back into NEGATIVE territory at -0.92%-/Sprott physical gold trust is back into NEGATIVE/ territory at -0.76%/Central fund of Canada’s is still in jail but being rescued by Sprott. Nov 27 Strange!! we gold up by $6.40 today, we had a good sized withdrawal of 1.18 tonnes from the GLD. Here is something that is also strange: we have had exactly 1.18 tonnes of gold withdrawn from the comex on 5 separate occasions in the past 30 days..explanation? *LAST 215 TRADING DAYS: A NET 58.54 TONNES HAVE NOW BEEN ADDED INTO GLD INVENTORY. *FROM FEB 1/2017: A NET 27.43 TONNES HAVE BEEN ADDED. I will provide the COT report but due to the huge numbers of EFP transfers, this report is totally useless!! — Published: Monday, 27 November 2017 | Print | Comment – New! commercials go net short by 9200 contracts. those small specs who have been short in silver covered 727 contracts from their short side. Conclusions: a totally useless report especially with all of those massive EFP’s issued. DR WAYNE DYER was an American philosopher, self-help author and a motivational speaker. Dyer was an internationally renowned author and speaker in the fields of self-development and spiritual growth. Over the four decades of his career, he wrote more than 40 books, including 21 New York Times bestsellers. Dyer created many audio and video programs, appeared on thousands of television and radio shows and starred in 10 National Public Television specials—featuring his books Manifest Your Destiny, Wisdom of the Ages, There’s a Spiritual Solution to Every Problem, and the New York Times bestsellers 10 Secrets for Success and Inner Peace, The Power of Intention, Inspiration, Change Your Thoughts—Change Your Life, Excuses Begone!, Wishes Fulfilled, and I Can See Clearly Now. The race between stocks and cryptos who can hit new all time highs and keep climbing without even bothering to look back, continued on Saturday, when the two biggest cryptocurrencies by market cap, bitcoin and ether, hit new all time highs, with Bitcoin breaking above the $8,300 resistance level around 0700 UTC, and hitting a high of $8,650 in early trading, up over 5% on the day, and rising at a pace that has put the $10,000 price target by both Mike Novogratz (and Jose Canseco) firmly in its sights. Separately, ether also continues to set new highs, and two days after South Korea’s regulator announced it had “no plan” to regulate cryptos, news which helped the crypto break out above its long-term range, and above its previous all time high, the native token of the ethereum project soared to $485.19 in overnight trading, morning, and is currently priced at $477, up 9% for the day and 37% for the last week. Bitcoin started the year just above $1,000, and the YTD gain is now above 850%, which however pales in comparison to Ether’s 5,000% YTD return. The cryptocurrency’s market capitalization has reached $142 billion. Finally, tired of being left behind, Litecoin has also joined the fray, and is up 12% in the past 12 hours, rising to $84, and fast approaching its own all time high of $100 set at the start of September. The sharp gains come as the combined market capitalization for all cryptocurrencies also peaks at new highs – currently standing at over a quarter trillion dollars, or roughly $270 billion. Bitcoin’s market cap is now over $142 billion, making it more valuable than corporations like Siemens, Mastercard or McDonald’s. Less than 24 hours ago, we noted that Bitcoin had broken above the recent resistance level around $8,300 and hit a fresh all time high of $8,650, observing that the world’s biggest cryptocurrency by market cap is now rising at a pace that has put the $10,000 price target by both Mike Novogratz (and Jose Canseco) firmly in its sights. It didn’t take long however for bitcoin to find a new round of eager buyers, and in early Asian trading, a burst of buying out of Korea’s Bithumb exchange, has sent bitcoin surging another several hundred dollars higher, and around midnight ET bitcoin had surpassed $9,000, sending its market cap to $150 billion, making it more valuable than corporations like Siemens, Mastercard or McDonald’s. Bitcoin started the year just above $1,000, and the YTD gain is now over 900%, which however pales in comparison to Ether’s nearly 5,000% YTD return and Litecoin’s 20x. However, it’s not just Asian demand as CoinTelegraph reports that in a sign of growing mainstream acceptance, digital currency exchange Coinbase now boasts more accounts than brokerage firm Charles Schwab. One month ago, Mike Novogratz was the first to predict a $10,000 price in 6 to 10 months. It may come in that many weeks instead. As a store of value, Novogratz likened bitcoin to digital gold, and said the technology is beginning to make “more and more sense” as we move increasingly into the digital. Novogratz continued to say that, while bitcoin is a bubble, the mania is justified, because it is a technological advancement that promises to fundamentally alter our lives. Bitcoin is set to become “the biggest bubble of our time,” he added, and could reach $10,000 very soon due to fast-building interest. In retrospect, he may be right much faster than even he anticipated. A good commentary on the faults with Bitcoin: the problem is the fact that nobody is listening! Dave Kranzler of Investment Research Dynamics in Denver yesterday detailed what he sees as bitcoin’s vulnerabilities — its susceptibility to hacking, infrastructure risk, and government regulation. But of course the skyrocketing of bitcoin’s price during the last year has made advocates of the monetary metals look foolish even as it has provided more evidence of suppression of monetary metals prices by governments and central banks. And gold and silver have their vulnerabilities too — like the futures markets, primary mechanisms of price suppression for anything governments don’t like, though a futures market seems about to target bitcoin as well. These EFP flows are all paper Comex lots draining out from a non-delivery market because increased reporting requirements forces CME members to prove gold and silver short positions are backed by physical. Deep backwardation between December gold and the cash spot market are bifurcating the paper vs. physical markets and accelerating these defensive flows. This unprecedented EFP action is all smoke and mirrors, fly-wheeled into unregulated paper gold and silver markets with Comex specs blinkered and wrong-footed into to a very strong physical market. Silver market analyst Ted Butler today marvels again at the huge position in Comex silver futures and the concentration of the short position. Butler writes: “Total open interest data indicates that there is a 1-billion-ounce open commitment in Comex silver short and long positions, more than annual world production or consumption. No other commodity has a larger real-world equivalent total open interest this high. Total open interest data indicates that there is a one billion ounce open commitment in COMEX silver short and long positions, more than annual world production or consumption. No other commodity has a larger real world equivalent total open interest this high. The long and short position in COMEX silver is so much larger than that of any other futures-traded commodity that it necessarily exerts a force on price more profound than in any other commodity. Because the positioning in COMEX silver futures is larger than what’s going on in the real world, the paper market dictates price to the world of silver production and consumption. This shouldn’t be and, in fact, is contrary to US commodity law. However, the CFTC refuses to deal with a market distortion that is the very essence of price manipulation. The entire COMEX net short silver position (more than 500 million ounces) is held by just 8 traders, most of which are U.S. and foreign banks. This is the one glaring feature in silver that, to this point, has largely escaped notice, even by those that regularly follow and comment about the silver market. This is the entire ball game in silver. The 4 and 8 largest shorts in COMEX silver have never taken a collective loss through decades of trading even when silver prices rose strongly (such as in 2011) and they experienced large unrealized losses temporarily. Those large losses always disappeared by the time the short positions were closed out. Whenever it’s necessary for them to contain and cap price rallies, the 4 and 8 largest traders will sell short as many new contracts as required until prices eventually top out and fall. Only then will the 4 and 8 big shorts buy back their short positions, thus compiling a perfect trading record of never taking losses. Something this corrupt cannot continue forever. The markets will ultimately correct this anomaly. Consider the price implications of a final end to the silver manipulation and the dominance of the 8 largest shorts on the COMEX. Silver must soar to near-unimaginable levels when the manipulation ends. The longer one lives through a manipulation, the end seems further and further away. In reality, the passage of time brings the ending closer every day. In the case of silver, it’s also the growing recognition that the concentrated short position on the COMEX has no legitimate reason to exist. 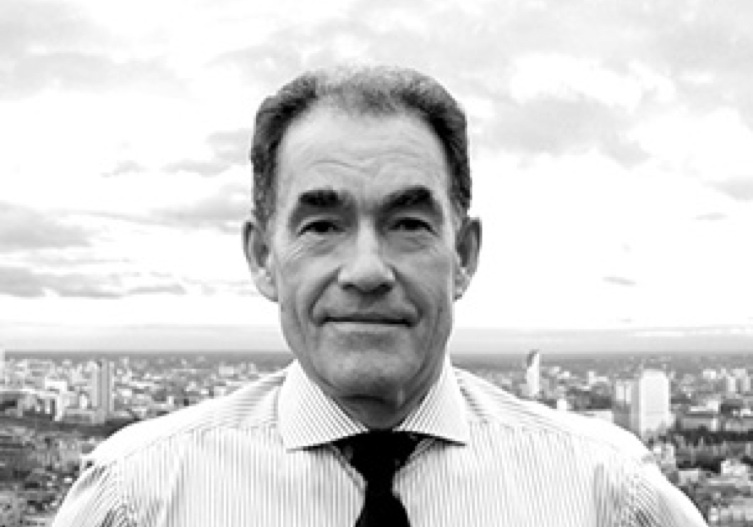 Despite prices recovering from 2015 lows, the industry has been slow to reinvest in exploration or sustaining capital, Randgold Resources Ltd. Chief Executive Officer Mark Bristow said. Half of the gold coming out of the ground isn’t profitable to mine based on the true extraction costs, he said. “The one thing this industry does very well is mine gold at a loss,” Bristow told analysts at a breakfast meeting in Toronto on Friday. The weakening outlook is being masked by a focus on all-in-sustaining costs rather than cash costs, he said. While companies can lower AISC and boost earnings by reducing spending to sustain operations or tightening exploration budgets, the tactic erodes asset quality in the long run, the CEO said. Similarly, severe damage has been done by high-grading, which shortens the life of a mine by focusing on the best quality ore. Since 2007, grades have dropped from an average of 2.5 grams a ton to about 1 gram, Bristow said. In a wide-ranging chat with analysts, and during an interview afterward, Bristow was characteristically frank, saying bitcoin should be viewed as the “underworld of currencies” and criticizing the world’s largest producer of gold, Barrick Gold Corp., for it’s record in Tanzania. But most of his remarks involved what he sees as a systemic failure by the gold mining industry to do its job properly. It’s not the first time Bristow has warned the industry is effectively producing at a loss. Two years ago, as prices hit a five-year low, he told analysts that half the metal coming out of the ground wasn’t profitable. That hasn’t changed despite a 20 percent-plus improvement in prices because it was accompanied by a drop in grades, he said in the interview. Meanwhile, Bristow blamed the widespread use of proxies by fund managers for the failure of executives and boards to be held accountable. He’s not the first to call for a reckoning within the industry. In September, billionaire John Paulson’s firm called for the creation of a coalition of gold investors to curb years of value destruction. Paulson’s presentation cited $85 billion in lost value in the gold industry since 2010, but listed Randgold as offering the best shareholder total returns. 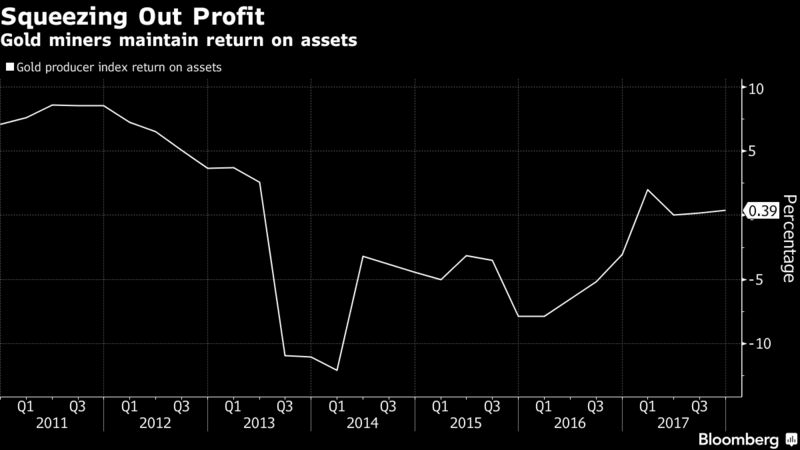 The Jersey, Channel Islands-based company has the highest profit margin among large producers after Polyus PJSC, according to data compiled by Bloomberg. But Bristow said Paulson’s Shareholder’s Gold Council isn’t the best way to clean up the industry. Large funds need to become much more active in working to appoint and remove board members rather than relying on proxy managers, Bristow said. Meanwhile, “survival mergers” are needed because the industry has too many junior miners with single short-lived assets, he said. The result will be higher gold prices — but history has proven that’s not necessarily what’s best for the industry, he said. MOSCOW — BRICS countries are discussing the possibility of establishing a single gold trade system, First Deputy Chairman of Russia’s Central Bank Sergey Shvetsov said Friday. According to Shvetsov, the Bank of Russia has already signed a memorandum on development of bilateral gold trade with Chinese colleagues. The regulator plans to take first steps toward formation of a single trade system with the People’s Republic of China in 2018, he added. “We assume that trade and clearing links should be established. The point is that gold buyers should decide on the place of purchase,” the official said, adding that trade links would enable market participants to make deals on international exchanges via the central counterparty. 3b Japan 10 year bond yield: RISES TO . +.043/ GOVERNMENT INTERVENTION !!!! (Japan buying 100% of bond issuance)/Japanese yen vs usa cross now at 111.15/ THIS IS TROUBLESOME AS BANK OF JAPAN IS RUNNING OUT OF BONDS TO BUY./JAPAN 10 YR YIELD FINALLY IN THE POSITIVE/BANK OF JAPAN LOSING CONTROL OF THEIR YIELD CURVE AS THEY PURCHASE ALL BONDS TO GET TO ZERO RATE!! 3j Greek 10 year bond yield RISES TO : 5.374??? 30 SNB (Swiss National Bank) still intervening again in the markets driving down the SF. It is not working: USA/SF this morning 0.9805 as the Swiss Franc is still rising against most currencies. Euro vs SF is 1.1704 well above the floor set by the Swiss Finance Minister. Thomas Jordan, chief of the Swiss National Bank continues to purchase euros trying to lower value of the Swiss Franc. The traditionally illiquid post-Thanksgiving week has started with a series of whipsaws across stocks and bonds, as European stocks turned positive after starting the day on the back foot, initially mirroring a slide in Chinese stocks and price action in U.S. equity futures as investors look to a possible – and absolutely critical – tax-plan vote in the Senate this week. Bund futures retraced most of their earlier declines, pulling gilts higher in tandem. Meanwhile, the Dollar has extended losses in Europe after brief respite from selling in Asian trading, sending GBPUSD toward day highs aboive 1.33 and, paradoxically, the USD/ZAR hitting a one-month low, erasing all losses after S&P cut South Africa’s credit rating on Friday. In commodities, WTI crude pulls back from nearly two-year high of $59; nickel leads base metals lower in London trading. Oh and yes, Bitcoin hit another record high, just under $10,000. Stocks in Europe erased early losses to edge higher, with defensive sectors including utilities, real estate, food and beverage, telecoms outperforming Monday, while cyclicals tech and basic resources dipped following a slump in industrial metal prices out of China. In terms of stock specifics, Julius Baer is the biggest faller in Europe, down as much as 5% after news that the CEO is to resign with immediate effect, subsequently fuelling worries that client assets could also depart. German Bunds fluctuated as Germany moved closer to a new government. In Asia, stocks took a turn for the worse and failed to sustain the early momentum from last week’s Black Friday optimism in US, where the S&P 500 and Nasdaq posted fresh record levels. ASX 200 (+0.1%) was choppy after the 6,000 level provided resistance and Nikkei 225 (-0.3%) gave up opening gains and then some, as Japanese sentiment soured amid flows into JPY. As noted earlier, in Asian trading, Shanghai shares fell 0.9% to a three-month low, having already been on a shaky footing due to a rout in the domestic bond market and fresh moves to reduce risks in the asset management industry that may bring a sea change for banks: the catalyst was a net-neutral PBoC liquidity operation in the backdrop of the recent bond market jitters, while Industrial Profits also slightly cooled. “The Chinese stock market drop is reminiscent of the selloff that we saw in the summer of 2015, and that is causing some investors to become cautious going into the thin year-end markets,” said ING currency strategist Viraj Patel, in London. 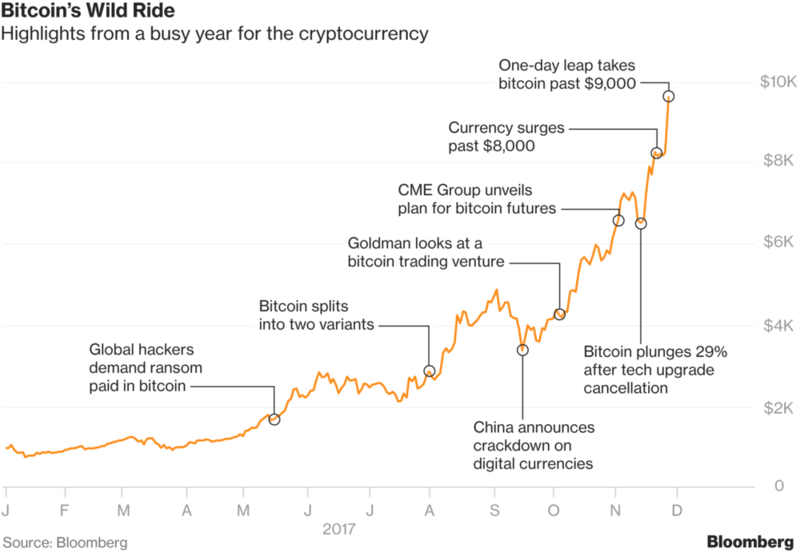 Away from the main markets, bitcoin’s exponential ascent showed no signs of abating, with the cryptocurrency soaring to another record high just a few percent away from $10,000 after gaining more than a fifth in value over the past three days alone. In macro, the big mover was the euro, which hit a fresh two-month high of 1.955 before paring gains and trading flat on the day, with a Merkel ally saying on Monday that the “grand coalition” talks may not begin until next year, potentially prolonging the uncertainty in Europe’s largest economy. The dollar failed to sustain an early advance even as Treasuries dropped. The U.S. currency was initially supported by improved prospects that the U.S. tax bill will be passed this year, alongside profit taking following the Bloomberg Dollar Spot Index’s worst week in more than two months. Republican lawmakers in the U.S. Senate plan to hold a make-or-break floor vote on their bill as soon as Nov. 30. Yet, last week’s pattern that saw demand for the euro soon after the London open unfolded once more, as the common currency rose to 1.1957, its strongest level since Sept. 22. According to Bloomberg, a mix of names, including real money and leveraged accounts, added fresh upside exposure in both the euro spot and options markets. Demand for vanilla calls in tenors between 18 months and two years was seen in OTC trades, traders in Europe said. The chances that German Chancellor Angela Merkel ultimately pulls off a renewed coalition with the Social Democrats supports the front-end of the common currency’s volatility skew. At the same time, traders seem less worried over the risks surrounding Italian elections due by May next year, pushing six-month risk reversals to their most euro-bullish sentiment since 2009. Asset moves aside, after a long weekend, investors are gearing up for a busy week, with Trump scheduled to address Senate Republicans at their weekly luncheon Tuesday on taxes ahead of a potential vote on tax reform set of November 30. Federal Reserve Chair Janet Yellen testifies before the congressional Joint Economic Committee in Washington, and the confirmation hearing for her nominated successor, Jerome Powell, begins. Adding to the mix are data on U.S. GDP, prices and jobs. In rates, the yield on 10Y TSY gained less than one basis point to 2.35%; 10Y Bund yield fell one basis point to 0.35% while Britain’s 10-year yield dipped less than one basis point to 1.247%, the lowest in almost three weeks. Japan’s 10-year yield climbed one basis point to 0.043 percent, the highest in more than a week. In commodities, West Texas Intermediate crude declined 0.8 percent to $58.48 a barrel. Gold increased 0.4 percent to $1,293.95 an ounce, the highest in six weeks. Copper fell 1% to $3.16 a pound.Elsewhere, nickel led a slump in industrial metals, with copper declining for the first time in seven sessions. Economic data includes new-home sales and Dallas Fed manufacturing; on the Fed speaking circuit, we have two former Goldmanites: outgoing NY Fed President Bill Dudley, and Minneapolis Fed President Neel Kashkari. Commodity-linked currencies were mildly pressured as WTI crude pulled back from USD 59/bbl. EU equities pare initial losses in what has been a relatively quiet morning. In Asian markets, stocks took a turn for the worse and failed to sustain the early momentum from last week’s Black Friday optimism in US, where the S&P 500 and Nasdaq posted fresh record levels. ASX 200 (+0.1%) was choppy after the 6,000 level provided resistance and Nikkei 225 (-0.3%) gave up opening gains and then some, as Japanese sentiment soured amid flows into JPY. Chinese markets were among the laggards in the region, with Hang Seng (-0.6%) and Shanghai Comp. (-0.9%) negative after a net-neutral PBoC liquidity operation in the backdrop of the recent bond market jitters, while Industrial Profits also slightly cooled. Finally, 10yr JGBs were lacklustre with prices below 151.00 and demand suppressed after a tepid BoJ Rinban announcement for only JPY 550bln in the belly to short-end. Chinese Industrial Profits (Oct) Y/Y 25.1% (Prev. 27.7%). PBoC injected CNY 70bln via 7-day reverse repos, CNY 60bln via 14-day reverse repos and CNY 10bln via 63-day reverse repos, for a total zero net daily liquidity injection. PBoC set CNY mid-point at 6.5874 (Prev. 6.5810). BoJ Board Member Suzuki said he is closely observing the side effects of monetary policy and that NIRP has a significantly large impact on earnings at financial institutions. Suzuki added he doesn’t not see a need for additional measures and commented that powerful easing must be maintained to reach target at early date, but that the BoJ could fine-tune policy prior to reaching the price goal. In Europe, price action was relatively contained with EU indices paring initial declines. In terms of stock specifics, Julius baer is the biggest faller in Europe, down as much as 5% after news that the CEO is to resign with immediate effect, subsequently fueling worries that client assets could also depart. In rates trading, the 163.06 resistance level in Bunds held in, and in fact 163.00 continues to prove pretty durable as noted previously. Indeed, as risk appetite picks up in general the 10 year German bond is now back in negative territory and testing the downside with a bit more conviction. From a high of 163.05 a fresh low at 162.77 just traded and volumes continue to pick up at 110k+. Aside from outright selling, it looks like option related flows are going through alongside some early position rolls from the front month Dec17 contract into Mar18. Recall, last Friday’s low was 162.67 and this is naturally now nearest support. Conversely, semi-core and periphery Eurozone debt is outperforming above water, especially Italian BTPs that continue to rally in wake of the Tesoro pulling this week’s term issuance (ie more competition for supply with the ECB). Note, 10 year futures have been 50 ticks ahead, with the yield down to 1.78% and spread to Germany in to 141bp. In the UK, Gilts also selling off and now near the bottom end of a 125.18-47 Liffe range vs last Friday’s 125.32 close. In FX, the Euro was stable, paring early gains after no sign of any German or wider Eurozone political angst, as the single currency carves out fresh gains vs the Usd to trade above 1.1950. 1.2000 may present something of a psychological hurdle, but in truth there is nothing on the charts in terms of resistance until 1.2033 before the pair takes aim at the 2017 peak at 1.2092 (set on September 8). On the options front, only a small expiry at 1.1950 (270 mn) may not be enough to deter bulls. Eur/Gbp not quite as perky below 0.9000, with strong technical resistance at 0.9033 also keeping a lid on the cross. The yen was another beneficiary of Dollar weakness, and risk-off trade in Asia, as the pair retreats towards recent lows just ahead of the 111.00 handle, currently around 111.25 within a 111.10-70 range. The OZ dollar was back above 0.7600 (just) vs the Greenback after a brief set-back overnight on latest Chinese asset declines. In commodities, WTI and Brent crude futures off slightly amid a rise in US oil rig counts, marking the first monthly rig count since July, as producers are attracted by rising crude prices. However, the downside has been capped given the rising prospect that OPEC and Non-OPEC members will agree output pact for 2018. Saudi Arabia and Russia reportedly agreed that extension of output cuts should be announced at the November 30th meeting, according to reports citing sources on Friday. There were also separate comments from the UAE Energy Minister who is said to be optimistic OPEC is to extend the output cut deal. Kazakhstan says that it is ready to discuss extending the OPEC/Non-OPEC production deal. Looking at today’s events, it is a fairly quiet start to the week with mostly second tier data releases including October new home sales and the November Dallas Fed manufacturing activity index in the US. The BoE’s Ramsden is scheduled to speak in the evening, followed later by the Fed’s Kashkari. Welcome to the last week of November with December starting on Friday. Can the S&P 500 hold on to complete its 13th successive positive total return month? November is currently running at just under +1.5%. If so, it’ll be the first time ever in the c.90 years we have monthly returns data that we’ve seen such a run. We’ve also never seen every month in the year experience a positive total return. Whether November might create the first of these new records might depend on where we go on the expected Senate vote on tax reform later this week. A reminder that the Republican leadership can afford to lose no more than two votes with Politico reporting over the weekend that as many as six Republican Senators are still withholding their support. If it eventually passes this week then differences with the House bill will then need to be reconciled before final legislation can be passed to President Trump. For now, Republican lawmakers are still committed to finalising the bill by Christmas as Senator Scott noted “I hope we can get it done by Christmas…if not, we’ll be here through Christmas, looking at the end of the year”. Elsewhere this week, Fed Chair nominee Jerome Powell’s confirmation hearing takes place tomorrow. Our US economists expect this to go smoothly and will be followed by full Senate approval in the coming weeks. We also have current Fed Chair Yellen’s testimony before the Joint Economic Committee on Wednesday. Again our US economists don’t expect this to be much of game changer but she may feel less restrained in conveying her own opinions in light of this being her last appearance before Congress. In terms of data the main focus this week will be the various inflation readings across the globe. In Europe we have the November CPI report scheduled for Thursday where the consensus expect a rise in both the headline (to +1.6% yoy from +1.4%) and the core (to +1.0% yoy from +0.9%). In the US on the same day we’ll also receive the personal income and spending reports, and PCE core and deflator readings for October. Japan’s CPI report is also out on Thursday. Other things to note this week include the second revision to Q3 GDP (+3.2% qoq annualized expected) in the US on Wednesday which our colleagues notecould see some upside risk given recent revisions to underlying data. Also worth highlighting are Thursday’s PMIs in China, the final European manufacturing PMIs on Friday and the US ISM manufacturing report on the same day. There are also lots of central bank speakers this week and those at the Fed might be carefully watched given the concerns expressed in the last FOMC minutes (released just before the Thanksgiving break) about soft inflation. The full day by day week ahead is at the end but remember our new “Next Week, This Week…” document published on Friday which includes a cut out and keep table of upcoming events. This morning in Asia, markets are trading lower with the Nikkei (-0.38%), Hang Seng (-0.56%), Kospi (-1.32%) and Chinese bourses down 0.7%-1.3% as we type. Elsewhere, China’s industrial profit for October has slowed mom to a still decent growth of 25.1% yoy (vs. 27.7% previous). China will continue to be in focus after the wobbles last week and the increasing chatter of a growth slowdown. Turning to the US holiday season shopping tally, early feedback suggests it has been strong for the online sector. Adobe analytics (which measures transactions at the largest 100 web retailers) noted Black Friday and Thanksgiving online sales in the US rose 17.9% yoy to US$7.9bn. Elsewhere, marketing firm Criteo noted 40% of Black Friday’s online purchases were made on mobile phones, up from 29% last year. Conversely, Reuters noted anecdotal feedback suggests sales at traditional brick-and-mortar retailers may have been more muted. We shall find out more with the National Retail Federation scheduled to publish its estimate of sales on Tuesday. Moving to Brexit talks, the Scottish Conservative Party leader Ms Davidson has warned time is running out as “if we don’t make it through in the next two weeks, to move to that next phase (on trade and transitional deal)…. (then) it’s a setback”. The Sunday Times reported that the UK will improved its financial settlement offer to £40bln (c€45bn), but the exact figures will not be made public, while the FT has noted that PM May will present an improved offer on 4th December. We wait and see if these initiatives kick start the negotiations. It seems the Irish border has moved to being the number 1 stumbling block for now. Now briefly recapping market performance back on Friday. US equities (S&P +0.21%; Nasdaq +0.32%) strengthened on thin volumes after trading resumed for half a day post Thanksgiving. The S&P rose to a fresh all time high of 2,602 with modest gains in the tech and materials sector partly offset by telco and financial stocks. European markets were mixed but little changed. The DAX rose 0.39% partly on signs of increased support from the SPD to help Ms Merkel to form a new coalition government. Across the region, the Stoxx 600 and FTSE both dipped c0.1% while the CAC rose 0.20%. The VIX fell 2% to 9.67. Government bond markets weakened slightly with core bond yields flattish to 2bp higher (Gilts 10y flat; Bunds +1.3bp; UST +2.3bp), while peripherals also rose 2-3bp. Turning to currencies, the US dollar index fell 0.47% while Sterling and Euro gained 0.21% and 0.69% respectively – the latter is back near its two month high. In commodities, WTI oil rose 1.6% to a fresh two year high following Bloomberg reporting that Russia and Saudi Arabia have reached a framework on potentially extending production cuts at the OPEC meeting on Thursday. Away from markets, S&P has cut South Africa’s local currency debt one notch lower to junk status (BB+/Stable) citing its expectations for further deterioration in the country’s economic outlook and public finances. Moody’s still has its South Africa’s rating at investment grade (Baa3), but has put them on negative watch. The Rand fell c2% against the Greenback on Friday but has recovered c0.6% this morning. The latest data from the European Banking Authority showed European banks have pared their exposure to Britain since the Brexit vote. Banks based in the EU bloc have cut their total assets tied to the UK by -16.3% yoy (-€356bn) to €1.59trn as at June 2017, with most the decline driven by a drop in derivatives related exposures. In Germany, the latest Emnid survey show 52% of Germans believe Ms Merkel’s CDU/CSU and SPD should form a coalition government, but 39% oppose a grand coalition. On an individual party basis, support for CDU/CSU and SPD were little changed, up 2ppt and 1ppt from last week. Wwe wrap up with other key data releases from Friday. In the US, the flash November Markit PMIs were slightly lower than expectations. The services PMI (54.7 vs. 55.3 expected) and manufacturing PMI (53.8 vs. 55 expected) were both softer. Hence, the composite PMI fell 0.6pt to 54.6 (vs. 55.2 previous) – now back to July levels. In Germany, the November confidence indicators were solid. The IFO business climate trended higher (117.5 vs 116.7 expected) and IFO expectations were well above expectations at 111 (vs 108.8 expected) – the highest since November 2010. Elsewhere, the UK’s October housing finance approvals were very slightly lower than expected at £40.5bn (vs. £40.65bn), while Italy’s lumpy industrials orders fell sharply in September but were still up 4.5% yoy. Earlier today, Russia’s deputy foreign minister Igor Morgulov warned that while there is a latent danger of an “apocalyptic scenario of developments” on the Korean Peninsula, he brought attention to the apparent “denuclearization” of the Kim regime, pointing out that North Korea’s last provocation was on Sept. 15, when it fired its second missile over Japan in as many months. The 73-day pause is the longest since a 116-day break between October 2016 and February. The news has yet to be caught by the major newswires, and as a result there has been no response in either the KRW or JPY crosses, however keep an eye on this story should there be confirmation over the course of the trading day. There is also the possibility that this is merely a trial balloon by Japan’s press meant to incite a nationalist mood and push through Abe’s militant agenda. After taking a breather in the wake of a battering Thursday, Chinese shares resumed their decline Monday, with some previously high-flying consumer and technology companies among the hardest hit. The CSI 300 Index of large-cap stocks was down 1.3 percent as of the mid-day trading break, with ZTE Corp. and BOE Technology Group Co. both falling more than 6 percent…“Institutional investors are choosing to cash in toward year-end as valuations are near historic highs and market sentiment deteriorated after official media targeted Moutai,” said Shen Zhengyang, Shanghai-based analyst at Northeast Securities Co. He said the market “lacks steam” for further gains. The CSI 300 finished the session down 1.3%, deepening a 6.8% decline posted in the final three sessions of last week, and reflecting disappointment that on Monday the PBOC provided no net liquidity to the system. “The slides continue as blue chips have gained significantly this year,” said Shao Rui, analyst at Shanghai Securities Co. “The tighter liquidity conditions prompt institutional investors to lock in their profits.” After injecting a net 150 billion yuan last week, the central bank’s additions via open-market operations matched maturities Monday, suggesting cash supply will remain tight. China’s 12-month interest-rate swaps climbed for the first time in three sessions. The consumer discretionary index fared even worse, falling 2.1 percent as BYD weighed. The Shanghai Composite Index lost 0.9 percent and the Shenzhen benchmark dropped 1.6 percent, with losses accelerating through the afternoon. What was notable is that for the second time in one week, the Chinese national team was not there to rescue investors with buying in the last hour of trading. While the sell-off in Chinese equities is unnerving, our primary focus remains on conditions in credit markers in China and Hong Kong. After the Chinese open, we highlighted the tightness of credit in the Hong Kong interbank market, where 1-month HKD HIBOR spiked to its highest level since December 2008. In this increasingly fragile environment, the portfolio manager who runs China’s best-performing bond fund sees a “high probability” that the rout in corporate bond markets will get worse in 2018. According to Bloomberg. It’s been the worst month for China’s local corporate notes in two years. And it might just be the start, as the nation’s top bond fund manager says yield premiums could rise further in 2018. President Xi Jinping is stepping up efforts to trim the world’s largest corporate debt burden, after emerging even more powerful from the Communist Party’s twice-a-decade congress in October. Financial institutions are hoarding cash amid expectations the government will announce more measures to curb leverage, and that is pushing up borrowing costs in the money market. “There is a high probability that credit spreads will widen next year given that there hasn’t been any improvement in the tight liquidity,” said Zhang Qinghua, general manager of fixed-income fund investment at E Fund Management Co. His E Fund Stable Value Bond-A fund has returned 15 percent, the best among fixed-income funds in China with more than 3 billion yuan ($454 million) of assets that are tracked by Bloomberg data. Policy makers must walk a fine line. Bond market pain has already spilled over into equities, as rising borrowing costs tarnish corporate balance sheets. Economic growth could also be jeopardized if deleveraging sparked a rash of defaults. For now things appear under control. While two more firms missed bond deadlines recently, there have been only about 21 note defaults this year compared with 29 for all of 2016. The 31 basis-point rise in the AAA corporate bond spread this month is the biggest increase since March 2015. Zhang sees further deleveraging measures by the Chinese authorities triggering a rise in the number of defaults. Despite those market moves, the government is rolling out more deleveraging measures. Financial regulators this month proposed sweeping rules to curb risks in the country’s $15 trillion of asset-management products. The government is still focused on preventing financial risks and curbing leverage, as economic slowdown looks limited, according to Zhang. Closure of zombie companies may accelerate next year and some individual companies’ credit events are unavoidable. However, overall credit risks are declining because of improving profits and declining leverage ratios, he said. While we agree with Zhang’s outlook for corporate bonds, we are less confident about his upbeat stance on Chinese equities. Convertible bonds will outperform government and corporate securities next year because listed companies’ profit growth may remain high, boosting attractiveness of equity assets, according to Zhang. “Liquidity may also flow from the cooling property market to the equity market next year, supporting better performance of the equity market,” said Zhang. Our sense is that the cascading, “snap sell-offs”, such as the one seen overnight in China, are going to get worse before they get better, and equities will increasingly be drawn into the mix. A blame game has begun in Italy that risks casting a bright light on the leadership of both the Bank of Italy and Italy’s financial markets regulator Consob. The controversial decision to award the central bank’s current Chairman Ignazio Visco a fresh six-year mandate despite presiding over one of the worst banking crises in living memory has ignited a tug-of-war between political parties and the president, who makes the ultimate decision on who to appoint as central bank chief. The first to cast aspersions was Italy’s former premier Matteo Renzi, who, no doubt in an effort to distract from his own party’s part in the collapse of Monte dei Paschi di Siena (MPS), called into question the supervisory role of both the Bank of Italy and Consob during Italy’s banking crisis. Silvio Berlusconi, a key player in the center-right coalition whose party came out on top in recent elections in Sicily, was next to join the fray. “The Bank of Italy did not exercise the control that was expected of it,” he told reporters in Brussels in response to a pointed question about Visco. As the controversy grows, it risks drawing the role of Visco’s predecessor, current ECB President Mario Draghi, into the spotlight. Many of the key events that helped pave the way to Italy’s current crisis took place during his mandate as governor of Italy’s central bank. And now the skeletons are beginning to crawl out of the closet. A 2010 report from the Bank of Italy … shows inspectors were aware that a 2008 trade struck with Deutsche Bank AG was the mirror image of an earlier deal Monte dei Paschi had with the German lender. The Italian bank was losing about €370 million ($431 million) on the earlier transaction, dubbed Santorini, as of December 2008. The new trade posted a gain of roughly the same amount and allowed losses to be spread out over a longer period, the document shows. The newly revealed report — dated Sept. 17, 2010, and marked “private” — shows the Bank of Italy was aware that by choosing not to book the trade at fair value, Monte Paschi avoided showing a loss at the time. If the bank had used a mark-to-market valuation in the fourth quarter of 2008, it would have been included in its year-end report as the credit crisis was cresting, with potentially grave consequences on the bank’s finances. One of the main reasons was to hide the losses racked up from MPS’s purchase in late 2007 of Banca Antonveneta, a mid-sized Padova-based bank. This still-opaque deal is arguably the most important banking scandal in Italy of the last ten years, and it directly paved the way to the collapse of MPS. For Monte dei Paschi it was an ill-timed disaster, just as the purchase of ABM Amro’s disparate other parts had been for Royal Bank of Scotland and Fortis, both of which would end up receiving taxpayer-funded bailouts to stay alive once the post-Lehman hangover hit Europe. Clearly, there was a chronic lack of due diligence conducted by the banks’ respective boards as well as by the respective national financial market regulators and central banks. In Italy’s case, that meant the Bank of Italy whose chairman at the time was Mario Draghi. Despite serious misgivings expressed by the director of the Bank of Italy’s office in Padova, A. Minnella, in a letter to the Bank of Italy’s head office in Rome, Draghi signed off on the Antonveneta deal in early 2008. Minella warned of significant “critical issues” in the bank’s technical profiles and competitive positioning, as well as “accentuated problems” that require immediate action by company managers. Antonveneta suffered from serious “financial imbalances” and its sustainability was “at risk,” he added. Yet those warnings were ignored. In recent years the plot surrounding Antonveneta has thickened further. In 2013 an article in the Italian newspaper ‘Corriere della Sera’ alleged that Monte dei Paschi had signed a secret agreement with Santander and JP Morgan Chase to divvy up the profits from the sale and route them through private banks in Switzerland. So serious was the charge that members of Italy’s fraud squad visited Madrid in 2013 to question Santander’s then CEO Emilio Botin over the deal. Then there are the reports that MPS’ acquisition of Antonveneta had a total cost of €17 billion, including a €7 billion loan that Antonveneta owed to ABN Amro, while MPS’ total operating capital was just €4.8 billion. Hence the need for so many complex derivatives trades cooked up by the likes of Deutsche Bank, Nomura and JP Morgan Chase to hide the full scale of MPS’ losses. Some of the bankers responsible are being tried in Italian courts. As has happened in just about every Western jurisdiction since the Global Financial Crisis (bar Iceland), probably no one will be held to account for acts that paved the way to Italy’s existential banking crisis. And that will almost certainly include Mario Draghi, whose name also popped up recently in a banking commission investigating the Bank of Italy’s chronic mismanagement of the crisis that brought down the two Veneto-based banks. Beppe Grillo’s Five Star Movement has even called for Draghi to be questioned by the commission, but every possible effort will be made by Italy’s financial and political establishment to ensure that does not happen. Berlusconi, one of the first people to begin piling pressure on the Bank of Italy, described the attempt to drag Draghi into the morass as reckless. “Involving Draghi is really irresponsible — this is the man whose policies helped stabilize the Italian economy and probably saved the euro too,” he said. The ultimate irony: during his time as governor of the Bank of Italy, Mario Draghi may have played a key role in facilitating the M&A deal that would eventually contribute to breaking Italy’s banking system, but now as ECB president, he has done whatever it might take to keep the Italian economy and its banks afloat, including buying up large amounts of Italian government debt. The ECB is now holding €310 billion of Italian bonds, an amount that exceeds the €246 billion increase of Italy’s national debt since 2012. These aggressive purchases have pushed even the two-year yield below zero (meaning the government gets paid to borrow money). For that alone he can rest assured that Italy’s political establishment has got his back. By Don Quijones. “El castillo, le torre yo soy, le espada que guarda el caudal. My predictions Angela Merkel would find herself trapped into a difficult minority or a convention defying second election look increasing unlikely as she is now threshing out a “Grand Coalition” CDU deal with the SDP. My “bad”.The membership of both parties apparently support it. I read a single member of her own party who dared to call for her resignation was subsequently booed down by the mob of enthusiastic Merkelistas. Huh. I’ll reserve judgement. I suspect the path to a German coalition will remain fraught and distracting for some time to come. Moreover, although a new coalition will happen, I reckon that far from being positive, Germany is going to be one of the big negatives pulling down Europe next year. Everyone is talking about how strong European growth is – it’s not; across the soft-underbelly of the continent it’s anemic at best with massive unsolved youth unemployment. Except for Germany, European growth is positive, but constrained and lethargic. In contrast, Germany is on fire – witness last week’s confidence numbers and the recent growth numbers. How long before the Bundesbank is demanding rate hikes to cool the overheated economy? I suspect that far from Germany engaging closely with Macron’s European vision, self-interest will see Germany diverge further from Europe as political necessity dictate a harsh German line on further austerity and reform demands upon the rest of Europe. Banking Union is a non-starter before NPLs are sorted. Higher rates to suit Germany spell slowdown in Germany’s European satellites. Meanwhile, reading through the stock picker comments this morning, none of them sound particularly convinced on further upside from here, but all report strong sentiment indicators as the buying wave continues. My colleague Steve Previs notes the VIX hit 8.56 on Friday – a record low. I’m still struggling to understand just how the market remains so convinced to the upside. Sure, we’ve got growth and it’s been a strong year, but that’s never sustained. Financial gravity dictates a sell-back at some point. What’s not to like? The IMF has update growth projections twice, and the EIU (Economist Intel Unit) upgraded growth on Saturday. But these gains also highlight risks. Can the $13 trillion gain in Global stocks be maintained – and would a correction tumble global sentiment? Full employment (at least outside Europe) will prove inflationary (I’ve attached Martin’s inflation driver chat!). And there are just so many things visible on the threat board from Saudi, China, Brexit, Washington and Oil. Perhaps it’s the things not yet on the threat boards we should worry about – the no-see-ums, like the hi-yield bond bubble! The Catalan push for independence appears to be fizzling at the grass roots level, at least according to the latest poll published by El Pais newspaper on Monday, which found that not even a quarter of Catalans want to continue with the push to claim independence from Spain in the wake of Dec. 21 regional elections. Just 24% of those polled by Metroscopia said they would like to continue with the independence process after the elections, whereas 71% said they would prefer politicians to find an agreement based on Catalonia staying part of Spain. The telephone poll surveyed 1,800 Catalans between Nov. 20 and Nov. 22. Should pro-independence enthusiasm be waning, pro-independence parties may fail to retain an absolute majority of seats in the Catalan parliament in next month’s election, the first part of the poll published on Sunday showed. Furthermore, as Reuters also notes, the survey’s margin of error at 2.4% and the fact support was evenly split between the two sides makes reading conclusions from polls difficult. Still, failure to capture a majority in the regional parliament would be a heavy blow for Catalan separatists who have billed the election as a plebiscite on Madrid’s decision to impose direct rule on the region last month. The Oct. referendum produced a large majority in favor of independence, but turnout was only 43% because many who opposed the breakaway did not vote. Catalan separatist parties are forecast to win 46 percent of the vote, down slightly from 47.7 percent in a previous election in 2015. Unionist parties combined would account for another 46 percent of votes, up from less than 40 percent last time, according to the Metroscopia poll. According to Reuters, turnout for the election, which former Catalan leader Carles Puigdemont said on Saturday would be the most important in the region’s history, is predicted to reach a record 80%. USA dollar index early MONDAY morning: 92.67 DOWN 12 CENT(S) from FRIDAY’s close. the Italian 10 yr bond yield is trading 32 points HIGHER than Spain. NOTE – this is Nasdaq’s first down day in the last five – and that was a very unusual ugly close. 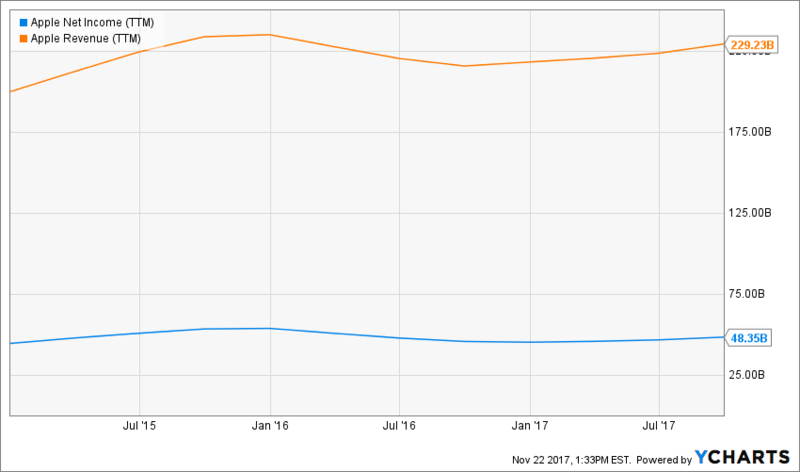 It’s Cyber Monday – so FANG stocks were lower, and of course, Amazon and Bitcoin were higher. Did capital just rotate into Bitcoin? 2s30s and 2s10s were dumped and pumped back to unchanged but ended with a very minor flattening. WTI Crude had an ugly day on Keystone pipeline back on lines and rumors spread to manage expectations of the outcome from the OPEC meeting…. While bricks and mortar retailers and malls may have decided to put their aggressive discounts on hold for the time being, seemingly content with their market share (losses), online retailers – and one in particular – continue to make staggering gains. Preliminary reports for Black Friday and Thanksgiving sales point to a promising start to the holiday shopping season, and once again, it is a story of online spending rather than brick and mortar. According to Adobe Analytics, which measures transactions at the largest 100 online retailers, online sales were up by 17.9% yoy for the two-day period. Moreover, according to BofA, there continues to be a shift toward mobile devices, with Commerce marketing firm Criteo finding that 40% of Black Friday online purchases were on mobile phones, up from 29% last year. Speaking to Bloomberg TV, First Data President Guy Chiarello said the first 3 hours of Cyber Monday were “unbelievably robust,” with 40% more e-commerce traffic than yesterday, 30% more than a year ago. In contrast, according to Bank of America, most indications suggest that activity was down at stores. ShopperTrak found that store traffic fell by about 1%. To observe overall shopping trends, BofA said that it will be examining the BAC credit and debit card data for the Thanksgiving and Black Friday period to come up with its own proxy for the health of the beginning of the holiday shopping season. Also on Tuesday, we will hear from the National Retail Federation (NRF) with their sales numbers. As a reminder, the National Retail Federation has been forecasting holiday sales to be up between 3.6 and 4.0% yoy, which means that online spending will have to pick up drastically to offset the decline at traditional retailers. As of the latest Census data in October, core control retail sales (retail sales ex-food services, autos, gasoline and building materials) – which is considered a proxy for holiday sales – is running at a 3.4% yoy pace. The consumer has been spending at a modest pace throughout this year, which is likely to persist into the holiday season, amid healthy levels of consumer confidence and strong wealth effects. New home sales smash expectations to 10 year highs as the average price now tops 400,000 for the first time. Is the uSA beginning to see home price rises what we are witnessing in Toronto, Vancouver and Sydney, and Melbourne Australia? Following the bounce in exisitng home sales (albeit lower YoY), new home sales ripped back higher in October (up 6.2% vs expectations of a 6.1% drop) following a big downward revision of last month’s manic spike. This is the highest print for new home sales since Nov 2007. And finally, we note that the average new home sales price hit a new record high, above $400K for the first time ever – $400,200. After reaching its highest level since March 2006 in October, Dallas Fed manufacturing outlook tumbled over 8 points (the most since Jan 2016) to unchanged for the year. Company Outlooks slumped, production tumbled, capacity utilization fell, new orders slipped, employment plunged, and wages and hours worked dropped… but apart from that, everything is awesome. In what is shaping up as a critical week for the future of Trump’s and the GOP’s tax reform, Senators return from Thanksgiving break, and look ahead to a marathon debate this week with the aim to hold a floor vote as early as Thursday according to Bloomberg, which notes that should the vote pass, Republican leaders will have to hammer out a compromise between different provisions in the House and Senate bills. Without a single major legislative victory for the Trump administration and Republicans, it is hard to understate just how critical a tax bill victory would be with year end fast approaching, abd amid concerns that the Democrats could triumph in the Alabama election, there’s a real sense of urgency. For now, Republican lawmakers told Bloomberg they are still committed to finalizing the bill by Christmas as Senator Scott noted “I hope we can get it done by Christmas…if not, we’ll be here through Christmas, looking at the end of the year”. Unfortunately for Republicans, it won’t be that easy. Murkowski had been seen as a potential “no” vote on the tax legislation because of its proposal to end the “individual mandate” from the Obamacare law that requires people to purchase health insurance or pay a fine. But last week, she wrote in an op-ed for Alaska’s Daily News-Miner newspaper that she would support ending the mandate. Doing so would raise roughly $318 billion by 2027, according to CBO estimates, because some 13 million people would drop their individual insurance — and wouldn’t tap federal subsidies to help pay for it. Murkowski’s acceptance of the Obamacare provision in the tax bill may clear the way for her support, though Senator Susan Collins of Maine has also said she has concerns about the health-care provision. On Sunday afternoon, the Washington Post reported that Senate Republicans are seriously considering several last-minute changes to their tax legislation in an effort to mollify wavering members, according to four people familiar with the discussions. On Tuesday, the Senate Budget Committee is scheduled to meet on the tax legislation at 2:30 p.m. The panel, which has 12 Republicans and 11 Democrats, could decide to send the tax bill to the Senate floor. Trump is also scheduled to attend the regular policy lunch held by Senate Republicans. If all goes well for GOP leaders, the Senate may begin floor debate, which would culminate perhaps Wednesday or Thursday in a “vote-a-rama”– a chaotic session in which any senator can offer an amendment to the bill. Democrats would be expected to offer a variety of amendments designed to damage, delay or derail the measure — which may lead to some political fireworks. The voting would probably take place overnight. Trump will also be busy, selling his tax proposal – on Monday he will have lunch with the Senate Finance Committee to talk about tax reform today, and meet with Nancy Pelosi, Chuck Schumer, Paul Ryan, and Mitch McConnell to discuss the year-end spending deal on Tuesday. Given the high stakes, Senate Republicans & Trump administration will do everything they can to get the tax bill through. Still, with six unknowns, “it’s a mammoth task” according to Citi. Markets seem cautious about tax bill hopes. USD positioning in the last week has been characterized by selling and squaring, while Monday’s price action so far has seen USD offered across the board. Thus one can argue that there’s more room for a rally on positive tax bill developments than a sell-off on negative news. Watch the flashing red headlines. Just hours after Sen. Rand Paul announced he would vote ‘yes’ on the Senate’s tax-reform plan, handing the White House a win, a second Republican senator has publicly declared his intention to vote against the bill, joining Wisconsin’s Ron Johnson in opposition. And that senator is: Montana’s Steve Daines. According to Politico, Daines and Johnson have similar objections: They both believe the bill is too generous to corporations while not doing enough to help small businesses, many of which would benefit from a more charitable pass-through rate. For “pass-through” entities, taxes are generally filed through the individual income tax code and not the corporate tax code. There are millions of these entities, and they are most often sole proprietorships, limited liability companies or partnerships. Daines reportedly discussed his reservations about the bill with President Trump over the weekend. According to the Washington Post, GOP leaders are working on a change to the bill that would assuage Daines’ and Johnson’s concerns. However, there’s one potential snag: Such changes could also personally benefit Trump, who has stakes in many business partnerships that are taxed at the pass-through rate. Still, even if the White House manages to win back Daines and Johnson, there are at least seven other senators who are either undecided or leaning toward a no. Only three Republican no votes would be needed to sink the bill, assuming no Democrats defect. Sen. Bob Corker (Tenn.) – Corker told reporters he wouldn’t vote for a bill that raises the deficit. Sen. Susan Collins (Maine) – Collins told reporters she is “still trying to change” the Senate bill. Sen. Jeff Flake (Ariz.) – “I remain concerned over how the current tax reform proposals will grow the already staggering national debt by opting for short-term fixes while ignoring long-term problems for taxpayers and the economy,” Flake said in a statement. “We must achieve real tax reform crafted in a fiscally responsible manner. I look forward to working with my colleagues during a full and robust debate on the Senate floor to deliver on that goal.” Flake is retiring after his term. Sen. James Lankford (Okla.) – Lankford said in a Nov. 27 news conference that he would like to support the bill but has concerns about the debt. Sen. John McCain (Ariz.) – McCain praised the Senate Finance Committee for moving the bill through regular order, but has also raised concerns about the impact on the deficit. Sen. Jerry Moran (Kan.) – Moran told constituents over the Thanksgiving recess that he has “encouraged the leadership” to drop the repeal of the individual mandate and questioned the bill’s impact on the deficit. Moran also raised concerns about a provision of the House bill that would tax qualified tuition waivers as income. Sen. Lisa Murkowski (Alaska) – Murkowski backs a measure to repeal the ObamaCare individual insurance mandate in the tax bill, but has not offered support for the full bill. Unfortunately for GOP leaders, Daines’s opposition is just the latest sign that tax reform’s chances of passing by year end are virtually nonexistent. What a riot: over the weekend, the Consumer Protection director Richard Corday resigned and he named his deputy director English to the post. Trump named Mick Mulvaney to the post and we now have two directors leading the Consumer Protection outfit. It’s been two days since former CFPB Director Richard Cordray resigned his post and named Deputy Director Leandra English as his successor, setting the agency up for what looks to be a brief but noisy legal dogfight. As was widely expected, English, who had formerly been Cordray’s chief of staff before he named her deputy director on his way out the door, filed a lawsuit late Sunday against President Trump to block Office of Management and Budget Director Mick Mulvaney from taking over as acting director of the agency. English’s lawsuit has already triggered a widespread backlash from the legal community, including from the agency’s chief counsel, who has said the law stipulates that Mulvaney should be allowed to take the reins. The CFPB is unique among government agencies in that the Dodd-Frank act allowed it a small measure of independence, as English pointed out in her lawsuit. Cordray said he made English, a senior CFPB official, the deputy director specifically to bridge the divide between his tenure and Trump’s director pick, according to the Hill. Trump officially nominated Mulvaney, a decision that was widely expected, shortly after Cordray named English as his successor. English also claimed that she is the rightful acting director of the CFPB, and that the court should bar Mulvaney from running the agency in her stead – an argument that’s been widely criticized by legal experts. English claims that the provisions of the Dodd-Frank Act that outline the CFPB’s line of succession supersedes the Federal Vacancies Act, which Trump used to nominate Mulvaney without needing to first seek approval from Congress. The crux of the legal dispute involves language in the Dodd-Frank act – which established the CFPB back in 2010 – that contradicts the Federal Vacancies Reform Act of 1998, as Politico explains. One factor working in English’s favor is that there’s no legal precedent: Cordray had managed the agency since it was created in 2010 – though it took three years for the Obama administration to win Congressional approval for Cordray. The 2010 Dodd-Frank Act, which created the CFPB, explicitly says the consumer bureau’s deputy director shall “serve as acting Director in the absence or unavailability of the Director,” giving the edge to English. It doesn’t say whether one approach supersedes the other, something the courts will likely have to sort out. As noted above, most legal experts – including, bizarrely, the CFPB’s chief counsel – have argued that the Vacancies Act trumps (no pun intended) the language in the Dodd-Frank bill, meaning that the president’s pick has every right to run the agency. Mary McLeod, the agency’s chief counsel, intends to contest English’s lawsuit in court. “As General Counsel for the Bureau, it is my legal opinion that the President possesses the authority to designate an Acting Director for the Bureau,” McLeod wrote in a memo from Nov. 25, according to Politico. “I advise all Bureau personnel to act consistently with the understanding that Director Mulvaney is the Acting Director of the CFPB,” she continued. The DOJ’s interpretation of the law would also allow Mulvaney to assume control of the agency immediately. However, these interpretations likely won’t deter English from pushing ahead with the lawsuit. That said, her legal maneuvering appears to be a transparent, stalling tactic, a last-ditch effort to save her job in the hopes that her Democratic allies in Congress somehow summon the wherewithal to intercede on her behalf, or that the district court might rule in her favor, a decision that would likely be challenged by the administration, potentially launching a years-long legal battle. We have previously noted the massive market cap inflation and then stupendous collapse of the Delirious Dozen of 2000. The latter included Microsoft, Cisco, Dell, Intel, GE, Yahoo, AIG and Juniper Networks – plus four others which didn’t survive (Lucent, WorldCom, Global Crossing and Nortel). What we didn’t mention yesterday, however, is that this bubble top intumescence never really came back. In fact, the market cap of the eight surviving companies—all of which have continued to grow—-today stands at just $1.3 trillion or 34% of the 17-years ago peak. Needless to say, that’s because the market no longer affords the Delirious Dozen of 2000 valuation multiples that are even remotely in the same bubblicious zip code. Thus, the eight survivors posted combined net income of $52.3 billion during the LTM period ending in September 2017. On the far side of the 1999-2000 tech bubble, therefore, current earnings turn out to be worth 25X—not the 75X recorded back then. We revisit the rise and fall of these turn of the century high flyers because we believe the same process of market narrowing into a diminishing number of momo names is exactly what is happening again as we reach the asymptote of this latest and greatest central bank fueled bubble. In fact, we have identified a new roster for the Delirious Dozen of 2017 – and have tracked their course over the last 40 months. During that interval, of course, Janet Yellen did not even bother to muse in public about “irrational exuberance” like Greenspan did. That’s undoubtedly because Fed orthodoxy now holds there just plain aren’t any bubbles—apart from isolated segments like commercial real estate. To the contrary, the 12 geniuses on the FOMC have purportedly vanquished the business cycle entirely, thereby insuring an economic nirvana of perpetual full employment, world without end. We think otherwise. Accordingly, our new Delirious Dozen consists of the FAANGs (Facebook, Apple, Amazon, Netflix and Google) plus seven additonal high flyers (Tesla, NVIDIA, Salesforce, Alibaba, UnitedHealth, Home Depot and Broadcom). Not surprisingly, their combined market cap has soared from $1.7 trillion to $4.0 trillion during the last 40 months in a pattern which is highly reminiscent of the last go round. And for our money, that $2.3 trillion gain represents the same kind of bottled air. Thus, Amazon is now valued at $550 billion and thereby trades at293X its $1.9 billion of LTM net income. But all of that net income is attributable to its rent-a-cloud service (AWS) which is arguably worth $100 billion on a standalone basis. That is to say, the great Bezos E-commerce juggernaut is implicitly valued at $450 billion, yet has not generated a dime of profit from the scorched earth its has left behind in retail land. That’s what we call bottled air. Likewise, Broadcom trades at 246X net income and Netflix is valued at 194X. These companies may well be the equal of Cisco and Intel as innovators and value generators with a long life of growth ahead. But both are challenged by ferocious competitors, and have no more chance of sustaining their current absurd valuation multiples than did Cisco (200X then, 19X now) or Intel (60X then, 16X now). Next consider Salesforce (CRM), which is currently valued at $77 billion,and Tesla, which sports a market cap of $54 billion. Yet both had large net losses during the latest 12 months. In fact, during the last five years, CRM has posted cumulative net losses of $650 million and Tesla has lost $3.3 billion. Even if these two do manage to avoid the fate of Nortel and Global Crossing, the red ink stained charts below suggests that earning into their combined market cap of $131 billion will take more than a few miracles. Even Alibaba at 55X, NVIDIA at 50X, and Goggle and Facebook each at 35X are essentially defying math and the business cycle. The latter two companies, in fact, may be the greatest thing since sliced bread, but they are also virtually 100% dependent upon advertising revenue. During the last recession, global ad spending plunged by nearly 9%, as shown below, and by more than 14% in the US alone. Moreover, the digital capture of market share—of which is 85% is attributable to FB and GOOG—-has nearly run its course. Accordingly, no company in a cyclical 3-4% growth industry can sustain a 35X PE multiple for any appreciable period of time. 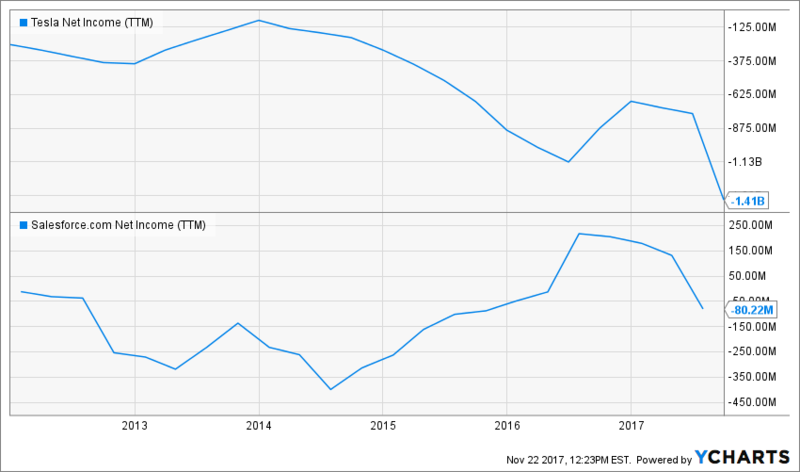 Much the same can be said for Home Depot (HD), which is currently flying high, but is not capable of permanently sustaining a 25X PE multiple. In fact, its recent results have been flattered owing to the capture of significant market share from the collapse of Sears and due to elevated sales from a standard home improvement spending cycle that is now reaching its peak. Additionally, it has not yet been attacked head-on by Amazon (but that’s surely coming). But like much else at the current bubble top in the casino, Home Depot’s elevated short-run gains have been confused for permanent growth capacity. However, the verdict on that is crystal clear: During the 11 years since the 2006 housing peak, HD’s net income has grown from$6.1 billion to just $8.6 billion in the October 2017 LTM period. That computes to a 3.2% per annum growth rate, and Home Depot’s best years are surely behind it. After all, the tsunami of baby boom retires are emptying their nests, not renovating them. At the same time, America’s soon to be shrinking work force will face ever higher taxes to pay for the upkeep of the former, thereby sharply constraining the discretionary income of the overwhelming share of working households. Man caves and granite kitchen counter-tops are not likely to survive the generational squeeze looming ahead. Accordingly, we believe that HD’s days as a 25X PE stock are numbered. In short, among the Delirious Dozen for 2017, only Apple has a reasonable multiple at 19X. But then again, Apple has been cycling along the flat line for more than three years at its towering sales level of $230 billion and $50 billion of net income. Yet even today’s casino recognizes that given Apple’s monumental size, it is virtually impossible to move the growth needle; and that even one delayed or botched product cycle could cause its $50 billion of net income to take a not inconsiderable plunge. In short, aside from the unique case of Apple, the Delirious Dozen of 2017 are set-up for a repeat of the massive 2000-2002 deflation of bottled air. That is, in June 2014 the group (ex-Apple) had a market cap of $1.1 trillion, representing 34X its combined net income of $32 billion. During the 40 months since then, the group’s market cap has nearly tripled to $3.2 trillion, while its net income has climbed to $65 billion. Consequently, the group’s PE multiple has now soared to 49X or to nearly the nosebleed level that pertained among the previous group of high flyers back in April 2000. Needless to say, the business cycle has not been abolished and this expansion is now 101 months old. In fact, the chart below suggests it may be reaching its “sell-by” date. But here’s the thing. The bottled air resident among the Delirious Dozen of 2017 is where all the top of the bubble mania has again gotten concentrated. So when the Black Swan, Orange Swan or Red Swan, as the case may be, finally arrives and they begin to sell AMZN, FB, TSLA or CRM—-look out below. That’s where Wall Street’s next central bank fueled bloodbath is hiding in plain sight.